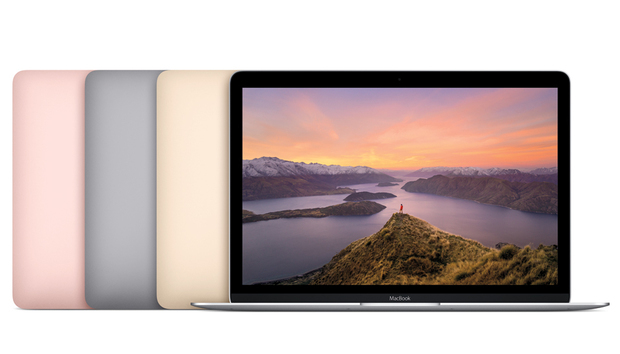 Along with the MacBook Pro, Apple revealed at its Worldwide Developers Conference an upgrade for the MacBook. The MacBook is Apple's ultraportable laptop, trading portability for speed and connectivity. It has a slower processor than the Mac Pro, and it has one USB-C port. For frequent travelers, it could be the ideal laptop. One thing that hasn't changed about the MacBook is the color choices. Apple offers four finishes: Gold, Rose Gold, Space Gray, and Silver. The main new feature in the new MacBook is that it sports seventh-generation Intel Kaby Lake processors. The previous MacBook used sixth-generation Skylake processors. You'll see a speed boost, but how much of a boost remains to be seen. Macworld plans on doing a full review for the new laptop soon. Apple also said during the WWDC keynote that all of its laptops now have solid-state drives that feature a 50 percent speed improvement. Apple offers two standard configuration and each model can be customized, which can drive up the price. You also have four colors to choose from: Gold, Rose Gold, Space Gray, and Silver. Here are the key specifications for the two models.